Most fuel Efficient diesel cars in India : When Anyone Decides to Buy a Car ,the First thing comes into the Mind is Mileage or Fuel Efficiency. 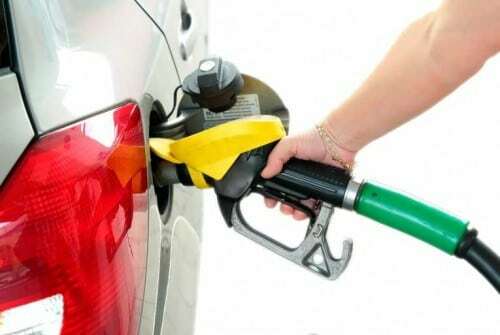 Now-a-Days the Price of Fuel or Diesel is Increasing day by day which makes the travelling expensive day-by-day. So Today we will tell you “Top 5 most fuel Efficient diesel cars in India” available right now. Maruti Suzuki Dzire is the Most selling Diesel Sedan car and Has the Best mileage n the segment. Also its Sibling Swift is most selling car in india as it offers best in Class Mileage and Performance. The two cars built on Maruti’s new Hearttech platform look more stylish and premium than ever before. The interiors of the two have also been updated. Maruti also tells its Hearttech platform stands more rigid and high impact potential than ever before. Engine : Both the Cars Comes with 1.3L DDis based 1249cc Displacement Diesel Engine with inter cooler Turbocharger. This Engine generates the power of 74 bhp and a torque of 190nm. Both cars are available in both automatic and manual transmission with 6 color options. Mileage:-Swift and Dzire both are Claimed to give 28.4 KMPL (Arai tested) highway mileage. Price:-The starting price of Swift:-5.99 lakh, and the Dzire is available in Market at a starting price of 6.56 lakh. Maruti Suzuki one of the Most selling car Baleno is second in our list of ” Most fuel Efficient diesel cars in India “. Maruti sells Baleno through its premium Dealership Network called Nexa. Baleno is available in four trims:-Sigma, Delta, Zeta and top end Variant Alpha. Maruti Uses Engines made by Fiat and the way Maruti Suzuki Engineers Tuned them is just Amazing. This 1.3L engine delivers great numbers of mileage figures and Maruti Suzuki Company is master when it comes to making the Best Mileage or fuel Effiecient Cars in India. Engine :- Baleno also comes with 1.3 L 1248 cc 4-cylinder DDis Diesel engine, which generates 84ps/ 115nm torque. Mileage :- Maruti claims 27.39KMPL Mileage on Baleno on Highway Conditions.